Anyway, the whole concert was divided into 13 parts so sorry if there are a lot of embedded videos on this post. The concert was awesome! Watching the whole concert makes me REALLY, REALLY WANT to go to their Mirotic concert in Shanghai. OMG, I seriously need to watch this LIVE! Awww… I’m speechless after watching this one. T_T These boys really know how to touch their fans’ hearts. I guess I there’s no need for me to comment on this clip since the members’ message says it all. DBSK really is a bunch of grateful, humble, and sweet guys. My love for them just keeps increasing everyday! The drama version of the MV for the 28th Japanese single “Stand by U” was finally released. Check it out. Honestly speaking, I was never a fan of drama version MVs because I always liked seeing the artists in their songs’ music videos. Just like the drama version MV of “Doushite…”, I didn’t like this MV that much. In my opinion, the MV is so plain without the boys in it. Add to that, I find the cuts on the first and last part of the MV a little odd. Why do they need to insert those? I mean, if those scenes really need to be incorporated in the MV, the director and editors could have just made it a continuous one. Moreover, I think this is one of the longest MVs I’ve seen so far. Dang, it lasted for more than 7 minutes whereas the actual song is only about less than 6 minutes long! 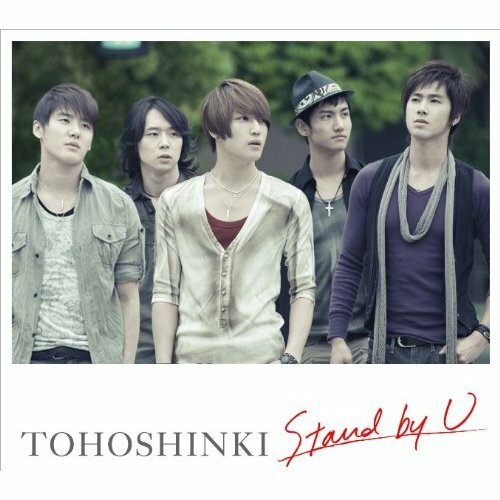 Anyway, “Stand by U” will be officially released on July 1, 2009. 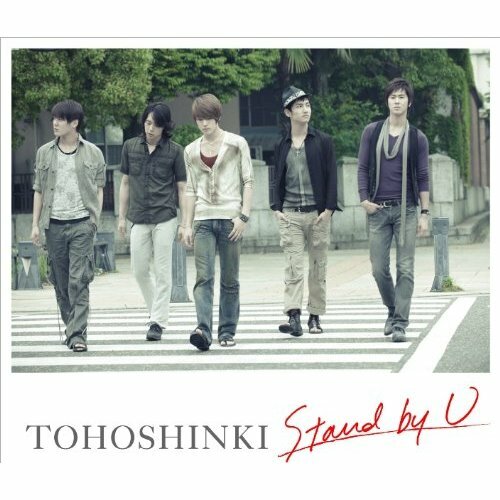 Below are the jackets for the CD+DVD version and the CD version of the 28th Japanese single “Stand by U” plus the tracklists. The photos are actually nice. I like the concept because it’s different from their previous Japanese single concepts. For this particular single, the boys are actually wearing something besides the color black and white and they aren’t color-coordinated. Moreover, they look so casual and relax in the picture. The pictures give me the impression that they are “ordinary” people who just happen to have a face that is beyond gorgeous and that the pics were candidly and randomly taken while these hot boys happen to pass by the road especially on the photo for the CD version. And one more thing, for once Jae isn’t wearing a pair of boots but instead he’s wearing a pair of slippers. Now, that is something that happens only once in a blue moon. LOL. 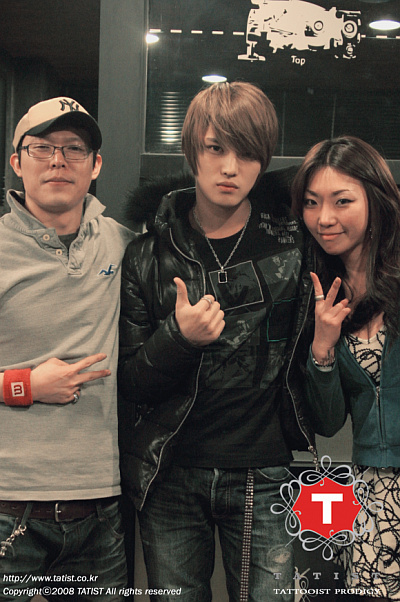 Here are pictures of JaeJoong with the people from TATIST, the place where he got his tattoos done. He must be good friends with these people already since he’s been adding more tattoos on his body every now and then. And here’s a picture of his extended tattoo where he added “wings” on the original one PLUS a seemingly unnoticeable WAIST tattoo. It’s ok to have tattoos (I actually love his TVFXQ SOUL tattoo and the phrases written in the form of a clef) but I hope the “wings” and the waist tattoo would be JaeJoong’s last. Although tattoos make someone look cool, having too much of it isn’t good to the body since it can have some side effects. Add to that, I wouldn’t want to see JaeJoong’s back be covered with tattoo. With the rate of how often he gets his tattoo extended or having a new one, I wouldn’t be surprised if his back will be covered by it. ~The boys are so cute especially my JaeJoongie. He’s so playful! Such a dork. LOL. ~ROFL @ Junsu when he was having a hard time forming a heart with his hand. Poor Su! ~Awww… Yunho kept on complimenting Yoochun when he was done with his solo scene. Such a nice leader. ~Dang, they filmed that very short CF for 12 hours?! The actual CF should have been longer! I have a sister whom is a crazy Cassiopeia and she’s studying in Japan. She often get to see TVXQ as they have lots of events in Japan. Recently, she have told me many things about TVXQ when she got home. I’m so jealous to the extent that I’m going crazy and the thing that makes me speechless is……..
One day, it seems to be after TVXQ finished their performance, then my sister squeezed into the crowd and asked for autographs. After seeing Junsu, my sister took out a pen and paper and wrote in Japanese to Junsu, said: “Could you sign for me?”. Junsu lifted his head and smiled to my sister (I want to bang the wall….). Then he said: “Of course, no problem”. And my sister added a sentence, “I’m a Chinese”. At this point of time where Junsu is about to sign for her, he stopped and lifted up his head and look at my sister, said: “Really? You are a Chinese?”. There are lots of people over there and my sister are going to be squeezed out of the crowd. Then Junsu stepped forward and quickly signed for her. Just when he was signing, he murmured and said: “China’s fan, China’s..”. After finish signing, he actually prepared to return it back to my sister but he took it back and passed to Yoochun who is near him and said: “Micky, sign it, it’s a China’s fan book”. After Yoochun signed it, Junsu look around for awhile, but the other 3 members were squeezed so far away. Junsu finally found my sister in the crowd and apologized and said: “They (Other 3 members) have gone missing, so both of us can only signed for you. If there’s another chance next time, we’ll then sign for you again”. Then he returned the pen and book back to my sister. The other fans started to squeeze even more ferociously after seeing someone finished signing. My sister said that she could remember very clearly of a move that Junsu does in the crowd because to make things convenient for Junsu to sign, she took the cap of the pen away. A pen without a cap would easily vandalised or drawn onto some things. So when Junsu is returning the pen, in order not to draw onto any fan, he faced the pen tip towards himself. And in order not to poke onto any fan, Junsu covered his hands with the pen and hold onto it. His clothes have been drawn for several times by the rest of the part of the pen that was exposed outside. He then released his hands when my sister stretched out her hands to him. I’ve totally fall on his demeanour. I even asked my sister why did she still allow Junsu to return her the pen when there are so many people at that moment. My sister replied, “I also didn’t have that intention but he keep looking and finding for me to return the pen, so how can I not taking it back?”. Actually, my sister is a Yunho’s fan, but she couldn’t find Yunho when she went to get the autographs. She met Junsu instead, and in the end, she was totally being attracted by Junsu’s move……… She keep telling me, “Junsu totally look like an angel whom keep shining that night”……….. I feel so frustrated after listening. Why didn’t I have such chance to meet that good fool whom regarded Chinese as an rare animal? Awww… Junsu’s such a sweet guy! Actually, each and every DBSK member has their own style of showing their sweetness. In Junsu’s case, he does it in such an “innocent” way. I bet he didn’t even intend to appear sweet by doing that but it’s really just his nature to act and think that way. The fan is really lucky! 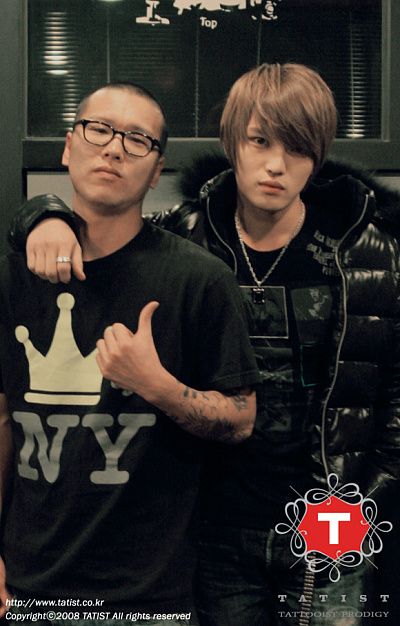 I would want the same experience with JaeJoong – or any of the other members for that matter. I guess I would probably faint if that happens to me. LOL.